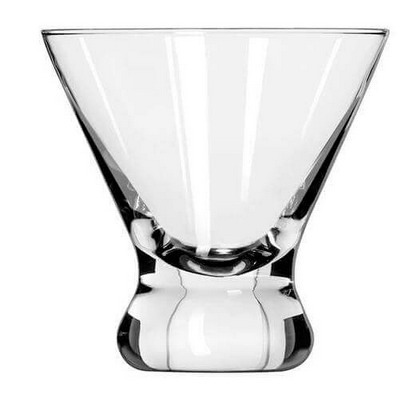 This Cosmopolitan or Stemless Martini glass features a flared extra thick base for a modern look and added stability. 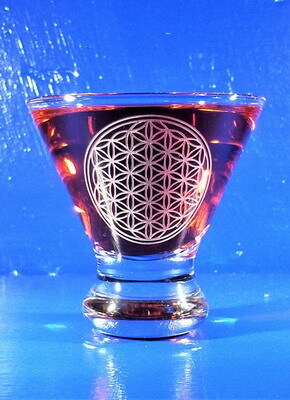 It's also a great glass for garnishes and picks for your holiday or party table. This glass is 3-7/8 inches high and holds 8.25 ounces. 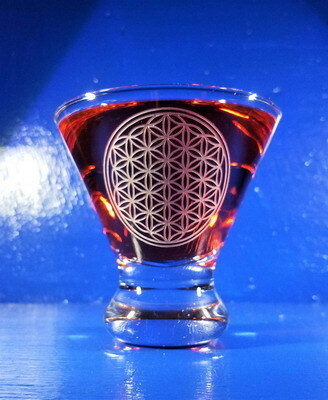 The Flower of Life, Sacred Geometry symbol is available upon request. 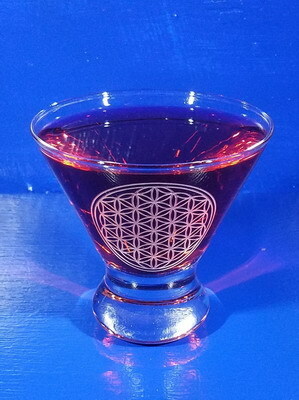 The Cosmopolitan Glass is manufactured by Libbey. Each individual personalized martini page will have the number of lines and characters allowed below the picture. We do count spaces, but it is okay to go over, we're fairly flexible. Please keep in mind that the more text you want on a custom martini the smaller it will all be. If you'd like to see a jpg proof of your text and/or design please leave us a note in the comments box and we'll send you one before starting your order. We will be happy to work with you on your personalization ideas. Please note that this is likely to slow production time as we'll wait to hear back from you before starting your engraved martini.